Laundsat satellite image o Lāna`i. 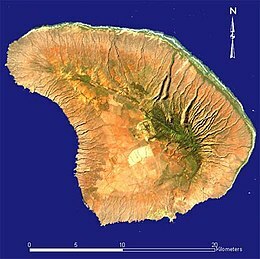 Lānaʻi (/ləˈnaɪ/; Hawaiian: [laːˈnɐʔi] or [naːˈnɐʔi]) is the saxt-lairgest o the Hawaiian Islands an the smawest publicly accessible inhabitit island in the chain. ↑ "Oracle's Ellison to buy, invest in Hawaii's Lanai - latimes.com". Archived frae the oreeginal on June 24, 2012.